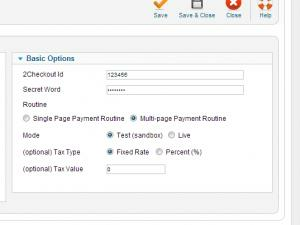 This RSEvents!Pro 2Checkout Payment Plugin is commercial and needs to be purchased separately. The price of the plugin is: 9 EUR. The 2Checkout plugin further extends the payment flexibility even further, offering the possibility to choose between the payment processors. All the plugin parameters can be adjusted from the RSEvents!Pro > Payment integrations area.